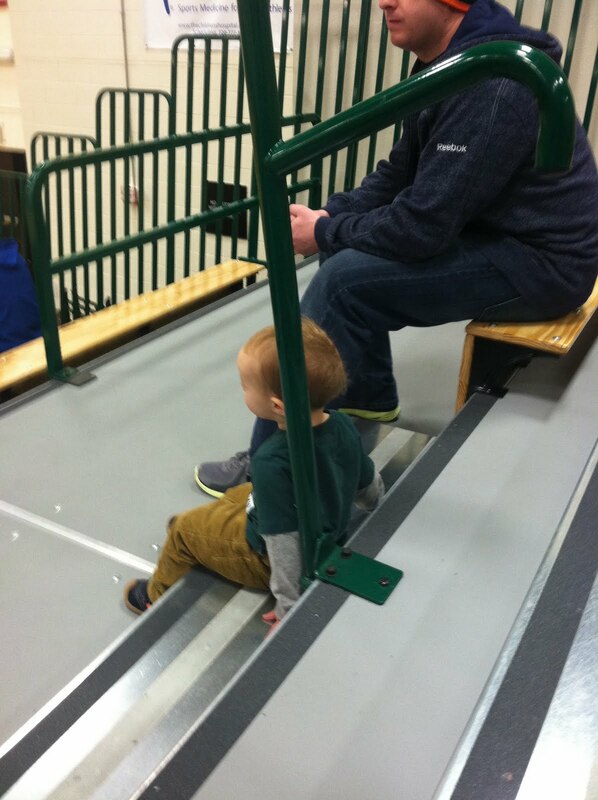 We took Paul to a basketball game at the high school where we teach. At first, things did not look so favorable. It is very loud in our school's gym- yelling, music, the buzzer, not to mention the provocative dancing by the poms team that can invoke quite the cheers from the male student population. When we walked in Paul cried. Luckily we found some of our friends with their little children and Paul calmed down. 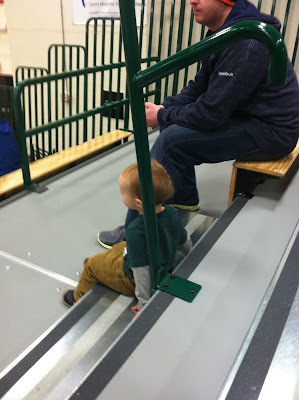 He watched the game, screamed "SHOOT" when he thought the players were taking a little long with their dribbling and passing, and ran up and down the bleachers. Cheap entertainment for everyone! I like that he yelled "shoot" like a real fan!